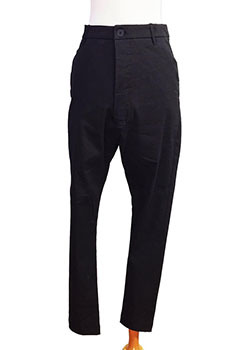 Pal Offner Unisex 'Mini Semi Low Trouser' in stretch black fabric. Belt loops. Button fly with placket. 2 side pockets and 2 rear pockets, the right rear pocket has button fastening and is concertina style. 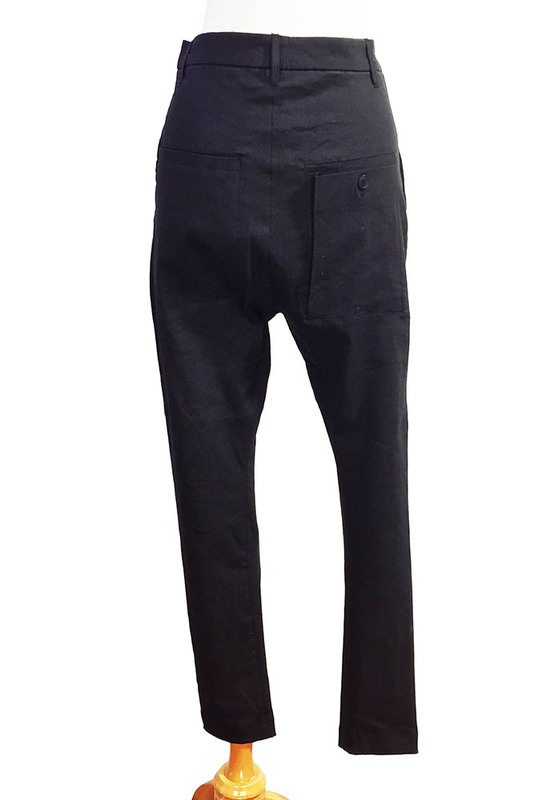 Narrow tapered legs. Slightly lower crotch. size 2 - small, size 3 - medium.